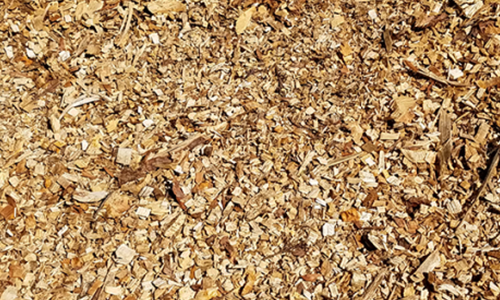 Landscape wood chips – not only are they abundant but also they’re easy to use. How easy? Well we’ve got seven ways to deploy them on your landscape. And with our fast and free delivery, you could make it happen by this weekend! Old, but classic. Landscape wood chips accomplish two important goals for your plants: They help them retain water and stay warm. In addition, they suppress the growth of weeds in garden beds, making it easier for you to maintain them over time. Spread a layer of wood chips over the garden in fall to protect your plants from freezing temperatures and snow, and repeat in the spring to get it looking clean, sharp, and beautiful. Be aware that you may need to add nitrogen fertilizer to supply the needs of your plants, and make sure to churn up or remove old mulch before re-mulching so your plants aren’t buried. Landscape wood chips help cushion falls and provide a safe, nonslip surface for kids and the young at heart. Create a designated play area in your yard with wood chips, swings, and other supplies — but make sure you inspect it regularly and keep it in good condition to reduce the risk of injuries! Landscape wood chips contain a great deal of carbon, and they’re great for building up the soil. Just by using them as mulch, you’ll be improving the condition of your soil, but you can also add them to your compost as a carbon or “brown” layer. They’ll break down and enrich the dirt, making it that much more nutritious for the plants you spread it on. Like other wood products, wood chips can make great fuel, and they’re especially useful for fire starter and small, controlled fires. They’re also ideal for biomass reactors, which can be used to power engines in addition to providing heat. Another classic use of wood chips: as a walkway substrate. They’ll even out the ground and provide weed suppression in the garden and lawn areas. Before you create a wood chip walkway, lay down a weed barrier to increase its lifetime. Be sure to remove any large debris regularly so it won’t trip people. If you’re working with dried or artificial flowers, try using wood chips in the vase to stabilize them and hold them upright. Landscape wood chips are also used in the construction of furniture and works of art, where their variable color, shape, and pattern can create a great deal of visual interest. While wood chips are a temporary fix, they can address an area of the yard where erosion is occurring while you develop a long term plan. Use them to create a barrier to prevent soil loss, especially during heavy rains or melting.